Instant Imprints offers these solutions - online and onsite! As one of the biggest and most innovative companies in our field, Instant Imprints has introduced several industry leading solutions to marketing and branding. With conveniently located production centers in North America, we offer online tools to give our customers the ultimate experience when it comes to branding and marketing their message or service. 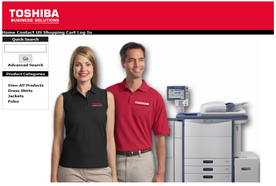 Instant Imprints is proud to offer custom online stores for your organization. Whether you are in charge of a marketing department or have a small sports team to outfit, iStores has a program that will fit.